If you'd like additional information about home staging to sell your property quickly in Mesa, contact R∙A∙N Realty & Property Management and we will assist you with promoting the best image for your home. Expert home staging is an established technique utilized to sell a home here in Mesa. 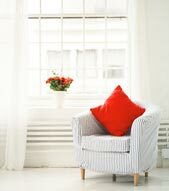 Some positive aspects of home staging include less time on the market and higher bids. If you want to sell your house quickly, consider a well thought out home staging strategy. Staging your house in Mesa, Arizona is all about marketing a lifestyle. You want buyers to picture themselves living and lounging in your home. You want them to see your current home as their future home. Curb appeal is your only chance to create a great first impression on buyers from a street perspective. The positive and negative features that jump out at buyers form their first perception of your home and how you keep up your home's regular maintenance.Understanding this helps us to decide what we can do to attract buyers from the street and into your home. If your house isn't at its best on the outside with refreshed paint and blooming greenery we'll need to tackle those issues. Refer to the Curb Appeal Checklist and boost your house's final selling price. Does your house seem to say, "This is Your New Home" to a buyer? Looking through your property with a buyer's eye, I'll advise you of adjustments that improve Open House appeal. I'll tell you reduce the effect of anything that gives the illusion of clutter. Counter tops should be cleared off. Brick-a-brack, sentimental items, family photos, and refrigerator works of art should get moved out of sight. You need to remove the personal details from the home so buyers can envision it as their new home. Buyers' agents know that their clients expect a home that draws them in with charm. Personal items that could be too personal should go into storage so that your home will have general appeal to buyers. I'll tell you when to show your home, because all of the changes come together to create a picture of what buyers can expect after they close on your house. Brightening up each room is critical, so we'll do things like part the curtains and reduce shadows where needed to show off your home. Together we'll enhance the mood of the house with enjoyable music playing softly and ensure a pleasing fragrance circulates room-to-room. We'll add cozy-looking blankets, and throw pillows on your chairs and bedding. We want buyers to feel like your current home has the potential to be.